What is the most environmentally destructive industry? After oil and gas, a strong contender has to be ‘Big Fluorine’, a collection of chemical companies that have profited, and continue to profit, from some of the most environmentally damaging technologies on the planet. From ozone destruction and climate change to toxic waste and dodgy carbon credits, this business has quietly made billions by harming some of the Earth’s most fundamental processes. Big Fluorine refers to the manufacturers of a large range of chemicals containing chlorine and fluorine. These chemicals are useful – so useful that they permeate almost every aspect of our lives – but they are not without consequence. Nor are they irreplaceable. Perhaps the most destructive are the fluorinated gases, or F-Gases. These include the chlorofluorocarbons (CFCs) and hydrochlorofluorocarbons (HCFCs) used in fridges and aerosols which have created huge holes in the ozone layer. These chemicals shot to fame as one of the first global environmental emergencies, leading to worldwide campaigns to phase them out. While their use has declined dramatically, the damage to the ozone layer will take decades to repair, and may even continue to grow for some years to come. At the same time, these chemicals have had a devastating impact on the climate, accounting for about 16 per cent of all climate change to date. That’s about the same as the whole of Western Europe. Now that the ozone-destroying chemicals are being phased out, new families of chemicals called hydrofluorocarbons (HFCs) are being brought in, again used as coolants in refrigeration and air-conditioning. These may not harm the ozone layer but they are still super greenhouse gases, many thousands of times more powerful than carbon dioxide. At their current rate of growth, by 2050 they will account for about 20 per cent of global greenhouse gas emissions – the same as the USA currently emits. And it is not just through their use that HFCs and F-gases cause problems. During manufacture, toxic waste is produced and harmful greenhouse gases routinely released into the atmosphere as by-products. Companies in India and China have earned hundreds of millions of euros from capturing and destroying these gases to sell them as ‘carbon offsets’. In fact, they made so much money from this that they were deliberately producing more by-product chemicals just to earn credits, generating more pollution. When the European Union said it was withdrawing funds from these projects as there were much cheaper ways to address the problem, Chinese industry threatened to dump them into the atmosphere. There have been health and local environmental effects too. In rural Gujarat, India, farmers have seen their wells poisoned by waste from a local fluorochemical factory, devastating their crops and causing widespread chronic pain and illness. Independent investigations have found alarmingly high levels of fluorine and chlorine in their water supplies. 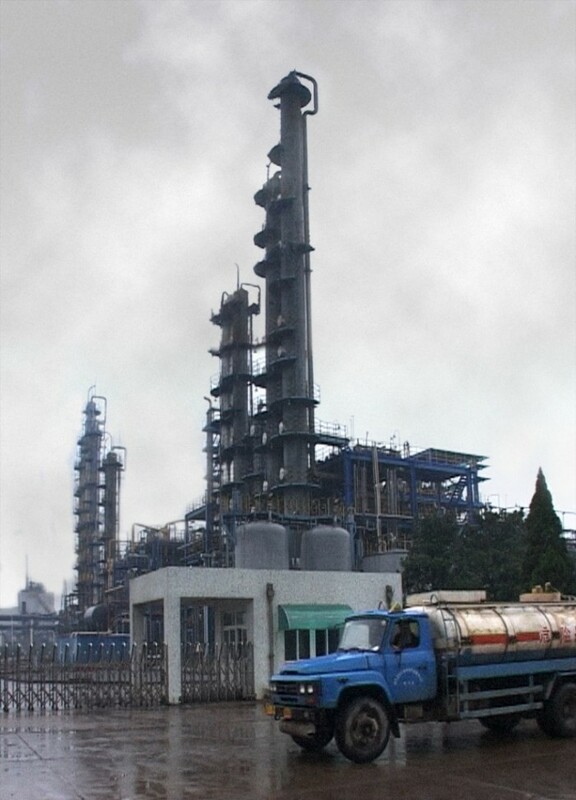 In the face of growing calls to phase out or ban the use of HFCs, Big Fluorine is doing what it always does ­– fighting for its right to keep using environmentally destructive chemicals while appearing to support environmental solutions. 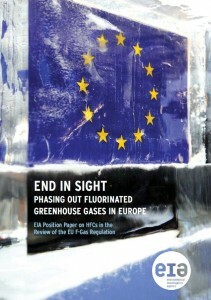 Through industry lobby groups such as the European Partnership on Energy and Environment (neither terribly European nor environmental) and PR companies such as Grayling, they are working hard to prolong the use of F-gases far into the future. This is hardly new; Big Fluorine did it with CFCs, for years denying they had anything to do with the hole in the ozone layer, even dismissing the very idea. “No ozone depletion has ever been detected …” claimed the Chairman of Dupont, one of the main manufacturers of CFCs in 1979, in response to efforts to tackle what was then one of the most urgent environmental issues affecting the planet. About the same time, another senior Dupont official declared that ozone depletion was “pure science fiction”. The result was a needless 15-year wait, from the discovery of the ozone effect to the beginning of the CFC phase-out – and billions more dollars for the industry. At the same time, because the companies also make each new generation of gases they get paid in new business every time there is a phase-out. Now, in the 21st century, the chemical industry is at it again, doing all it can to stall efforts to tackle its impact on climate change. The tactics may be subtler and the language more subdued but the goal remains unchanged – to make money by downplaying environmental destruction. In 2005, when the European Union was passing its first Regulation on the control of F-Gases, the chemical industry and its allies mounted a lobbying attack of such ferocity that even the BBC called it scaremongering. European politicians and officials were hounded in what some MEPs described as harassment – ‘spam lobbying’. In the end, Big Fluorine got what it wanted, a weak law that shifted all responsibility for the negative consequences of F-gases to users rather than producers, and which put no limits on consumption. The result is predictable – the 2006 law has actually allowed for a 20 per cent increase in emissions, and these are unlikely to fall in the future. Thankfully, Europe now has a second chance since the architects of the original F-Gas Regulation inserted a review clause, and later this year the European Commission is due to reveal its plans for improving the situation. As might be imagined, Big Fluorine is working hard behind the scenes to promote the continued use of F-gases. Of course, they are not the only ones – EIA and its friends are also working hard for a phase-out, but this is very much a classic David and Goliath situation. The real tragedy is that in most cases F-Gases are not even necessary. In pretty much all the major applications, research conducted for the European Commission shows that they can be phased out and replaced with alternatives in less than ten years. In some sectors, such as domestic refrigeration, this has already happened. No doubt the coming months will be filled with many stories about how essential F-gases are, and how unproven the alternatives are. In those moments it might be worth remembering who these companies are, and their past history.